Bodoland (English pronunciation: /bədəʊˌlænd/, /'bəʊdəˌlænd/, (Bodo: बड'लेण्ड) is a proposed state of India consisting of areas located in the extreme north on the north bank of the Brahmaputra river in the state of Assam, in north east region of India, by the foothills of Bhutan and Arunachal Pradesh. The region is predominantly inhabited by over one million indigenous Bodo people. Currently the map of Bodoland includes the Bodoland Territorial Area Districts (BTAD) administered by the Bodoland Territorial Council (BTC) and other parts covering over twenty-five thousands square kilometres. The territory came into existence under the BTC Accord in February 2003. The map of Bodoland overlaps with the districts of Kokrajhar, Baksa, Chirang and Udalguri in the state of Assam. At present, Kokrajhar serves as the capital of Bodoland Territorial Area Districts. Bodoland(A land of Bodos) is the gateway to the North Eastern Region of India, where local politicians have demanded very recently that a separate state (within the Indian Union) be created by carving out some of eight districts of the current State of Assam, namely Kokrajhar, Dhubri, Bongaigaon, Barpeta, Nalbari, Kamrup, Darang and Sonitpur districts. 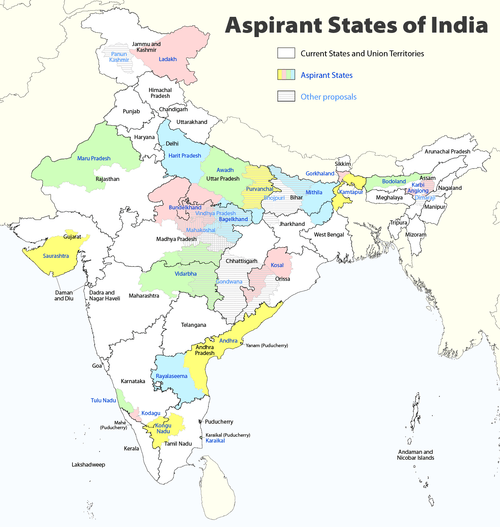 It is an autonomous Administrative unit constituted under the Sixth Schedule of the Constitution of India covering an area of 8,795 km2 (Provisional). The administrative unit has been created with a mission to accomplish development in the area of economic, education, preservation of land right, linguistic aspiration, socio-culture and ethnic identity of Bodos and above all to speed up the infrastructure development of communities in the BTC area. The actual functioning of council was started on 7 December 2003 by constituting the 12 members of the Council provisionally. After the Council Election on 13 May 2005 and subsequent bye-election in November 2005, the 40-member Legislative Council has been formed to look after the development works in the Bodoland Territorial Area Districts. The remaining six members are nominated by the Governor of Assam from the unrepresented Communities. Thus there are altogether 46 members of the Council, representing all communities of BTC Area. The Tibeto-Burman speakers settled in Assam after the Austro-Asiatic speakers, and they were in turn followed by Indo-Aryan speakers. Most of the rulers in Assam prior to the advent of the British were non-Indo-Aryan speakers who had Sanskritized to some extent. At the time of Indian Independence, there existed a number of ethnic groups that were Sanskritized to varying degrees, and the Bodos were one of them. Compared to other parts of India, such as West Bengal and Maharashtra, opportunity for general and mass education came to North East India only after Indian independence (1947). Following Indian independence, the Bodos were given the opportunity to take advantage of scheduled tribe (ST) status. This process lead to the creation of tribal belts and blocks, protected lands meant for farming and grazing, specifically for the Bodo people. However, the list of ST in Assam continues to grow. There are a sizable number of indigenous community who are claiming ST or SC status. In the early 1960s the Plains Tribals Council of Assam (PTCA), a political party representing Bodos and other plains tribals of Assam realized that tribal belts and blocks were gradually being acquired by rich landlords or new immigrants through illegal means. Moreover, Bodos had little or no access to economic aid that was given by the central government. Without economic package to the Bodo dominated areas, education was a distant cry. In those days, there were hardly any roads and other infrastructures that connected Bodo dominated area to the main cities of Assam. These were the reasons for which, in 1967, PTCA demanded a Union Territory called Udayachal, to be carved out of Assam. The proposed Udayachal map included mainly those areas that was known as tribal belts and blocks. The creation of tribal belts and blocks (for scheduled-tribes) was a mechanism to protect farming and grazing lands mainly from rich landlord and illegal immigrants. The demand for Udayachal never materialized. Due to persistent apathy of successive governments towards Bodo community, by the end of the 1970s it became clear that Bodos had a little or no influence in the Indian political process. Specifically, in Assam Bodos areas were very much neglected. Often the financial packages meant for tribal-development were diverted and misused. For similar reasons, Khasis and Garos, carved out Meghalaya from Assam. In the late 1980s, All Bodo Students' Union's (ABSU) became very concerned about decades of neglect and apathy by the subsequent state government towards the Bodo community. ABSU and Bodo political parties jointly demanded a separate state, called Bodoland. Which is in process]. They equally want to contribute in the development of their nation. The official Bodoland Movement for an independent state of Bodoland started on March 2, 1987 under the leadership of Upendranath Brahma of the All Bodo Students' Union (ABSU).After Upendra Brahma,an Assam revolution member himself when denied ticket to contest loksabha election, returned home to create a separatist group with the intension to move Bodos away from Assam. The ABSU created a political organization, the Bodo Peoples' Action Committee (BPAC), to spearhead the movement. The ABSU/BPAC movement began with the slogan "Divide Assam 50-50". The ABSU/BPAC leadership of the movement ended with the bipartite Bodo Accord of February 20, 1993 and the creation of the BAC. The accord soon collapsed amidst a vertical split in ABSU and other Bodo political parties brought about mainly by the split between S. K. Bwiswmuthiary and Premsingh Brahma, and violence erupted in Bodo areas leading to a displacement of over 70,000 people. Despite the Bodo accord, Bodo people still claim they are neglected by the Indian Government, with no economic improvement evident in Bodo dominated areas. Lately, there have been signs of efforts to improve these situations by the Assam Government. However, there are thousands of people still languishing in refugee camps in very poor conditions, which includes both Bodos and non-Bodos. Although dozen of roads have been repaired in last few years, hundreds of bridges and other infrastructures remain in somewhat neglected condition. The national highway is in the process of expansion. Whether the creation of BTC (BTAD) will address the issues of Bodo self-determination remains an open question. Bengali-speaking Muslims, who form 19% of the total population. Adivasi communities, including Santhals, Gonds and Kurukh, who form 17% of the total population. Koch Rajbongshis, who form 16% of the total population. Other communities, including Bengali Hindus, Nepalis, Caste Assamese, Sarania Kacharis, and Rabha tribe, who form 16% of the total population. ↑ "Archived copy". Archived from the original on 2013-03-15. Retrieved 2012-12-01. ↑ Bodo Accord, February 20, 1993, signed by Government of Assam, ABSU and BPAC. Urban, Hugh B. (2011). "The Womb of Tantra: Goddesses, Tribals, and Kings in Assam". The Journal of Hindu Studies. 4: 231–247. doi:10.1093/jhs/hir034.